It’s a cancer that doesn’t get much attention. There aren’t fancy ad campaigns or colorful t-shirts to raise awareness for it. Yet it’s the fourth most common type of cancer, and the second most deadly. I’m talking about stomach cancer. And if you or someone you care about hasn’t been touched by this terrible disease count yourself lucky, and vow to take the steps you need to reduce your risk. And I have one way you can do just that that, which I’m sure you’re going to love. In fact, it doesn’t get much easier than this. Simply make a few small (and delicious) adjustments to what goes on your dinner plate and you can slash your risk fast. In a study out of Europe, researchers found that women who ate more flavonoid-rich foods were HALF as likely to develop stomach cancer as were women who ate the smallest amounts. 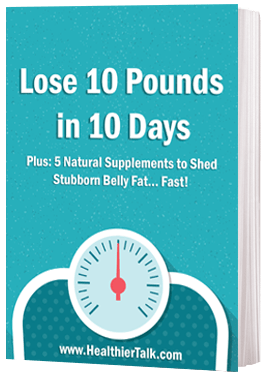 Those lucky ladies who were eating more than 580 mg of flavonoids per day had an astounding 51 percent lower risk of developing stomach cancer than the ladies who ate 200 or less mg per day. So, what foods contain flavonoids? 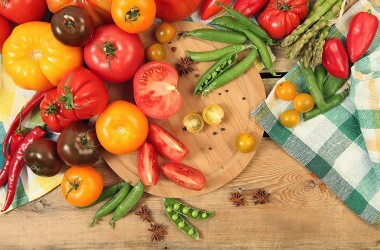 Look for plant-based foods including fruits, vegetables, whole grain cereals, nuts and legumes. Tea’s also on the list. And, perhaps best of all you can indulge in a little chocolate and wine too, since both are rich in flavonoids. The researchers say that eating more flavonoids and cutting back on processed meat can be an effective one-two punch for reducing your risk of stomach cancer. Other risk factors for stomach cancer include smoking, drinking and obesity. They were surprised to not find a similar link for men and think it might have to do with hormonal differences. Still, regardless of whether you’re a man or woman, there are plenty of reasons to eat flavonoid-packed foods. They can help strengthen veins and have strong antioxidant properties. And they can dramatically cut your risk of stroke. So, enjoy plenty of fruits and vegetables, and go ahead and indulge in a little wine as you unwind at the end of the day. You’ll be getting some serious health-boosting nutrients while you do. 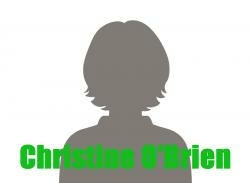 Christine O'Brien is an alternative health reporter dedicated to researching and writing about natural health. Ms. O’Brien has written for Nutrition & Healing, Healthier Talk and a variety of other natural and alternative health outlets. She believes in the power of natural medicine and her goal is to open people’s eyes to the benefits of alternative and integrative medicine. Christine is passionate about helping people help themselves without having to turn to harsh drugs or invasive surgeries. The SECRET chemo risk – and how to BLOCK it!